With over 15 years experience and real focus on customer satisfaction, you can rely on us for your next renovation, rebuild or refurb. 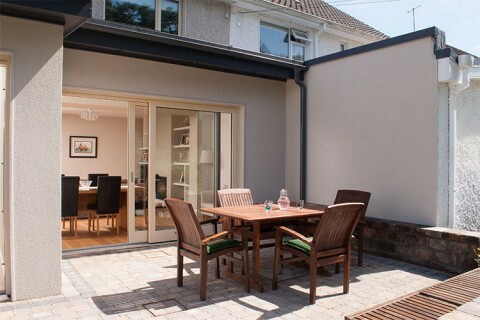 With over 15 years experience and real focus on customer satisfaction, you can rely on us for your next renovation, home extension or home repair. We provide a professional service for private and commercial customers. 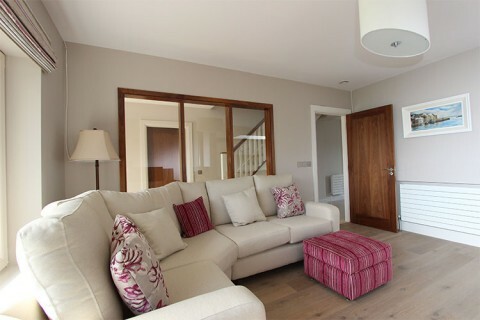 We can transform your home by adding that much needed space. 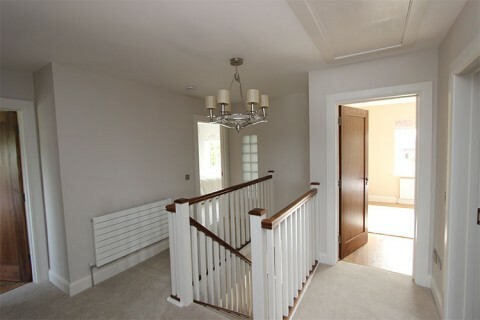 We can transform your home, however challenging the job is. “The project at 12 Henry Street was my first build, and I had always heard stories about how difficult it all can be, as well as how hard it was with builders and contractors. To my great surprise, I found Ian Morrissey to be really wonderful to work with. Together with the architect Patrick Mc Cabe, Ian and I realised an amazing project. Ian really got the idea of nordic industrial and went out of his way to facilitate what I wanted. I could not recommend anyone more highly.He is a genuine, honest, hard working and supportive builder who has a wonderful team. I was extremely lucky to get Ian and I am sure that he will be very hard to get in the future. I have recommended him for many other jobs and will continue to do so. There are few builders of his caliber and character and I wish him all the best in his future projects of which I am sure there will be many"
"We would like to thank Ian & All the crew from Ian Morrissey Renovations for an outstanding effort on our recently completed project located in Galway City. The project involved a very aggressive schedule and it was completed on time. We would certainly like to use their professional services again." Ian Morrissey recently did an extensive renovation of our house. We could not recommend him highly enough. Ian's overall approach was very professional, cooperative and pleasant. We found Ian very easy to work with and very accommodating. The team he works with were also of a similar vein - professional, pleasant and easy to work with. The standard of Ian's work was excellent. 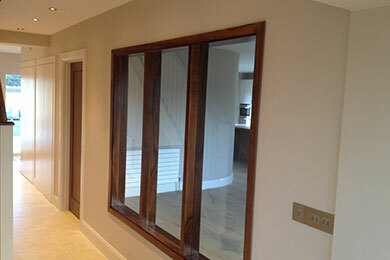 He and his team have a keen eye for detail and everything was finished to an exacting standard. 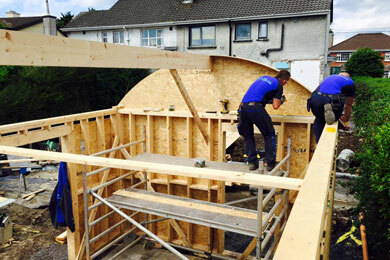 We would gladly recommend Ian to anyone considering having building work done and would most definitely use his services again if we were undertaking any such work. 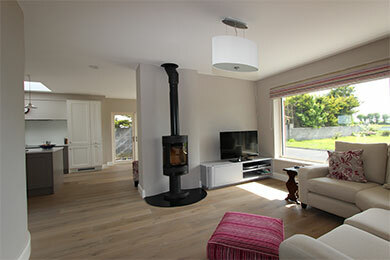 Ian Morrissey Renovations offers a complete Renovation and Construction package. 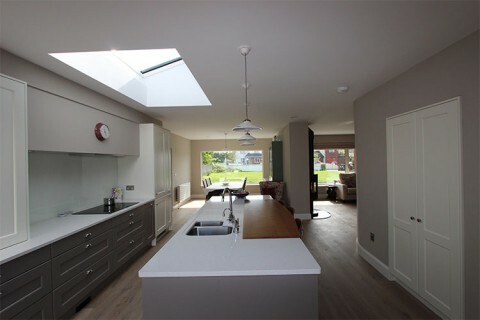 Having worked in conjunction with many of Galways leading and most inspiring architects/ designers we aim to offer a completed project which stands out from the crowd.